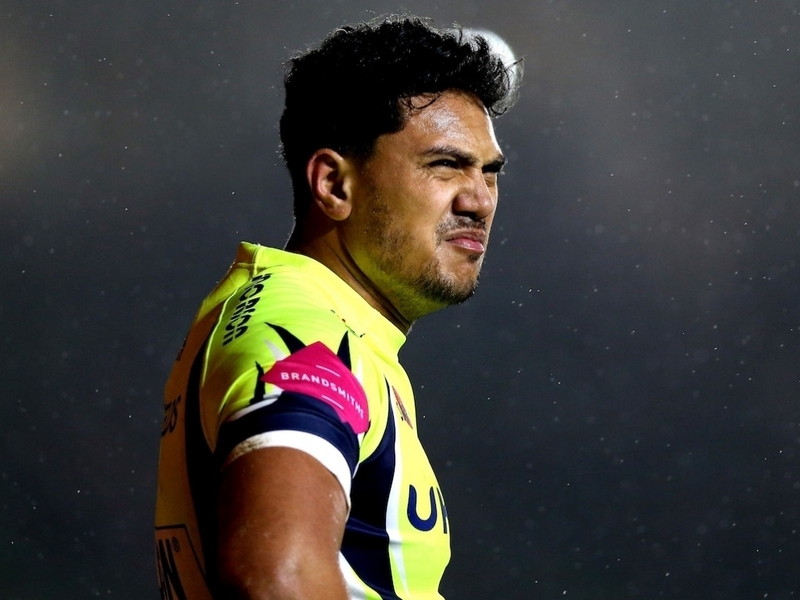 Sale Sharks try-scoring sensation Denny Solomona has stated that he would ‘100 percent’ play for England should the opportunity arise. Solomona, 23, has scored eleven tries in eleven matches for Sale since making a controversial switch from rugby league side Castleford Tigers back in December. He has previously represented Samoa in league and was born in New Zealand, but now Solomona qualifies to play for England on residency grounds and if called up could be part of their tour to Argentina. Having sounded hesitant in the past about playing for his adopted country, Solomona has now told The Times that he would jump at the chance. “Yes, 100 percent,” Solomona said. “If the opportunity presents itself, I’ll take it with both hands. At the moment, I’m just focusing on the now and playing well for Sale. If it comes, it comes. Solomona’s exit from Castleford is still part of a legal dispute, having retired from rugby league with two years left on his contract, and the winger hopes his form club will eventually move on. “There’s always been an aspiration to come back and finish what I started in union. Now I’m doing it,” he explained. “I sat down and spoke to Steve Diamond and my fiancée and we said (the criticism is) bound to happen. I just block (social media critics). If it wasn’t for the Sale boys being so welcoming, it would have been a nightmare.